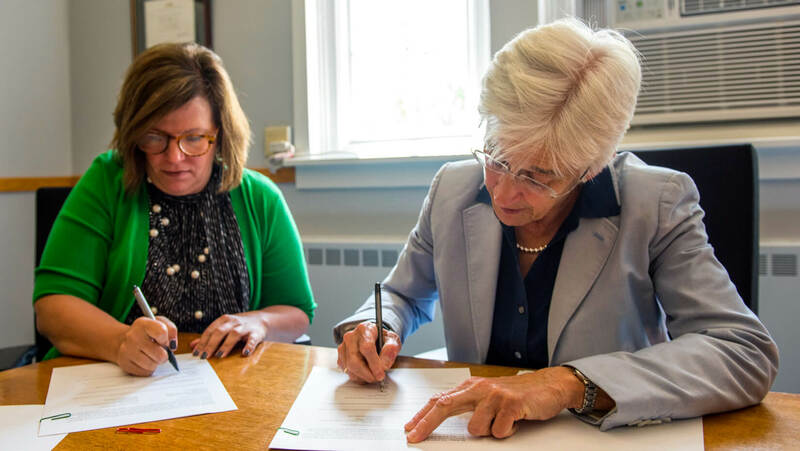 Eastern Maine Community College and the University of Maine signed a Memorandum of Understanding Aug. 1, that confirms the commitment of both institutions to allow EMCC students in designated programs to easily transfer credits toward a UMaine bachelor’s degree. The MOU supports the creation of program agreements to streamline admission opportunities for academically qualified students and graduates of EMCC, facilitate student academic transfer, and create a smooth transition for the EMCC transfer students. Program-specific articulation agreements also signed: A.A. in liberal studies to Bachelor of University Studies, leadership track; A.A.S. in electrical and automation technology to B.S. in electrical engineering technology; and A.A.S. in civil engineering technology to B.S. in construction engineering technology. UMaine has a history of EMCC students transferring to UMaine. 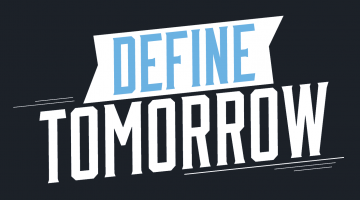 From the fall 2014 through fall 2016, UMaine received over 300 transfer admission applications from students and alumni of EMCC. Those students included Logan Merrill of Norridgewock, who started in EMCC’s Electrical and Automation Technology (EAT) Program in 2014 and will graduate next year with a bachelor’s degree in electrical engineering technology from UMaine. He says EMCC gave him a strong foundation. At UMaine, he has pursued advanced topics in his field of study. Merrill’s supervisor at OMICRON is UMaine alumnus Charles Sweetser, a Lewiston native who received his bachelor’s and master’s degrees in ’92 and ’96, respectively. Sweetser, PRIM engineering services manager at OMICRON, now lives in Falmouth.